Honda HDS (Honda & Acura Diagnostic System) is the latest diagnostic software for Honda vehicles. 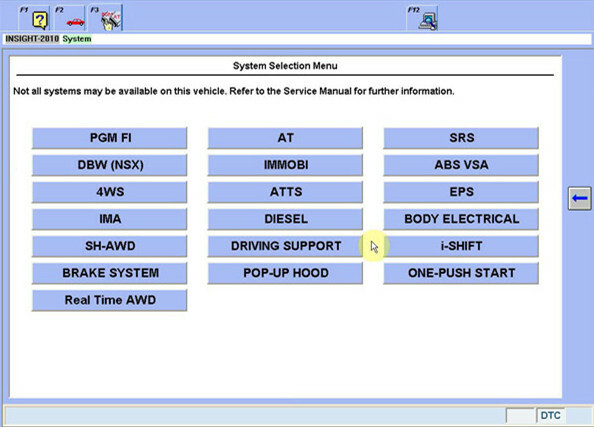 Diagnostic functions available for vehicles of HONDA/ACURA from year 1992 to 2007. Test coverage: Dynamical, Body, Chassis, ABS, SRS, Anti-theft, etc. HDS supports CAN BUS system, and it can re-program the Auto ECU. About the immo, i think, must be hacked for ihds, because still doesn’t work even using the latest one.